Still on a patriotic high after the Olympics? Even the hardiest of couch potato couldn’t fail to rise out of their seat to cheer on Team GB on their way to a record-breaking medal haul at Rio 2016. The incredible cycling team, the superhuman gymnasts, the dancing horses…. OK, it’s not all high-octane excitement, but you certainly can’t fault the commitment of our amazing athletes, or their four-legged friends. London 2012 left a brilliant legacy of increased participation in a wide range of sports across the country, as people watched Jessica Ennis-Hill, Greg Rutherford (soon to be gracing the floor on Strictly! ), and Super Mo cruise to victory and thought they may as well have a go too. If anything, the performance of the whole team four years later has only served to create interest in even more different activities, and there are so many to choose from! Here are 10 sports and activities you might fancy having a go at if you’re feeling the urge to actually do something after vegging in front of the TV until the early hours for two weeks waiting for half the action to happen. Easy peasy. You need a pair of trainers, a good bra (ladies!) and you’re good to go. Of course you can splash out on some proper kit and a fancy watch as you get into it but as a complete beginner, running is one of the most accessible activities going. The hardest part is getting past the point where you’ll think that you can’t run because you’ll get down the street and want to go home again, but stick with it and it is so worth it. If the weather puts you off (which it will nine times out of ten by being too cold/too hot/too wet/too windy) jump on a treadmill at the gym and enjoy the luxury of air-conditioning and a towel. Total newbies can download the Couch to 5k app to help you get started. Swimming is a fantastic low-impact exercise if like me you have slightly weak knees or similar problems with your joints which genuinely makes running a bit uncomfortable. It can also complement other activities though by being a great cardiovascular workout, which will improve your general fitness. Check out your local pool for women-only sessions if you’re self-conscious in a cossie, or take the kids along for some family fun. (Blokes apparently aren’t afforded the luxury of men-only sessions for whatever reason, so you’ll have to just attend with the masses whether you’re self-conscious or not). Swimming.org has some great resources to help you find a pool and dive in (excuse terrible swimming pun). I used to attend a local Zumba class prior to becoming pregnant with Jake, and let me assure you: nobody cares if you can’t dance. Unless you’ve got a sense of rhythm and an ability to remember the routines you will look like a giraffe on roller skates but my word it is FUN. Zumba is fantastic if you prefer your exercise to feel less like a school PE lesson and more like being drunk at a party. You will sweat and you will be knackered but that is the point. You will need a good pair of cushioning trainers and it can be fairly high-impact so watch those knees again but throw yourself into it and you will reap the benefits. I know it’s not an Olympic sport, but you will deserve a medal after doing it. Search for a local class on the official Zumba website. My sole experience of hockey consisted of tripping over my own stick at school and spending the next half an hour picking tiny bits of gravel out of my grazed knees. However, the victorious gold medal-winning GB ladies team would have us believe it is something way more awesome than my horrendous memories. Hockey is a fantastically sociable team sport, which if you’re looking to join in will provide benefits greater than those you will gain on the field. Many local clubs will allow you to come along and have a go using their equipment before you commit to joining, so don’t be shy! Check out the Back to Hockey campaign for a quick introduction to the sport. 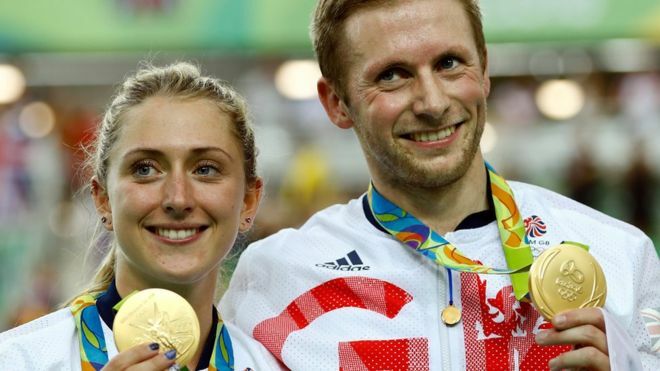 Were you screaming at cycling power couple Laura Trott and Jason Kenny haring it round the Rio velodrome wishing you looked that awsome in Lycra and massive sunglasses? Then why not get on the saddle yourself? ‘Cycling’ is a fairly broad term for anything from a leisurely pedal along the river to mountain biking up Scafell Pike (but maybe don’t start with the latter). Buy yourself an exercise bike to channel the Team GB spirit from the comfort of your own home or invest in the real thing to enjoy the great outdoors a bit. Either way, it can be a fantastic low-impact cardiovascular exercise which will strengthen the legs while being kind to knees. Just make sure you wear a helmet (unless you’re doing it in the house, obvs.). Sky Ride has some great advice and events to help people get into cycling. Let’s face it, none of us are going to be doing triple somersaults across the floor or flinging ourselves expertly around a pommel horse any time soon, but that doesn’t mean gymnastics isn’t accessible and fun for all ages and abilities. Local clubs will run beginner sessions for all sorts of activities, one of which is bound to suit you. Most Olympians have trained for approx. 18 hours a day since childhood so focus on what you’d like to gain from having a go and just enjoy it. It’s probably even ok if you go “weeeeee” as you jump on the trampoline or pretend you’re on the opening credits of Byker Grove circa 1996. Find your local club and the perfect activity for you on the British Gymnastics website. A similarly hated school activity to hockey, I was never very good at netball. Poor hand-eye coordination and a tendency to panic when the ball came flying at me meant I was rarely (i.e. never) first to be picked for teams. Apparently it’s different now though. Grown-ups are playing it for actual fun, to get a bit of exercise and engage in a little light post-game banter in the pub (drinking healthy smoothies or something). Back to Netball from England Netball might encourage you to don an attractive bib with big letters on once more. I’ll be honest, getting up at 6am for an early morning arrival at the boat house and a lengthy session up and down the river in the rain doesn’t exactly float my boat (so to speak). You might love it though, and getting out on the water with actual oars is proper rowing. Also, Team GB are pretty good at it so you’ll be following in some soggy but strong footsteps. 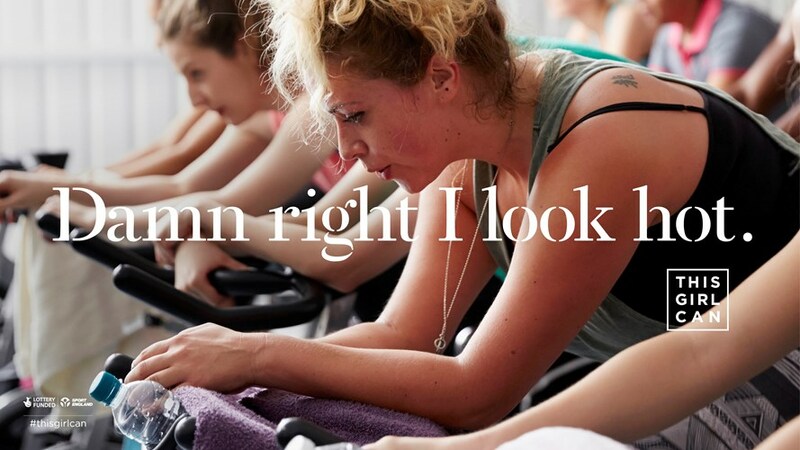 If the thought of potentially falling into a canal is enough to put you off doing it for real, most cosy lovely indoor gyms will have rowing machines which will give you all of the cardio benefits with none of the risk of being hit by a sightseeing boat. British Rowing has all the info you need. You may think that you need to have a ridiculous haircut and zero fashion sense to play football, but even if you don’t drive a Lambourghini you can still enjoy the actual physical and social benefits of the beautiful game. On a grassroots level anyone can have a go, from an informal kickabout in the park to joining a proper club, of which more and more now have ladies’ teams too. Happily, there are plenty of indoor options too if like me you have a serious mud aversion or have painful memories of being hit in the face by a hard ball on a cold day. The FA has lots of resources for getting involved. If swimming, cycling or running alone aren’t enough for you, and you have a bit more time on your hands, you could have a go at triathlon. Olympic distance is 1500m swim, 40km cycle and 10km run, with barely time to wipe the sweat off your brow in between. Beginners can start by competing along much shorter distances called sprint races, so don’t be put off! If you’re already super fit and/or fully insane, you can work your way up to an Ironman distance of 3.8km swim, 180km bike ride and 42km run but I can’t imagine anyone donig this without it completely taking over their life. Maybe just start with a couple of lengths in the pool followed by a KitKat to get your strength back. Visit the British Triathlon website to find out how to get started. 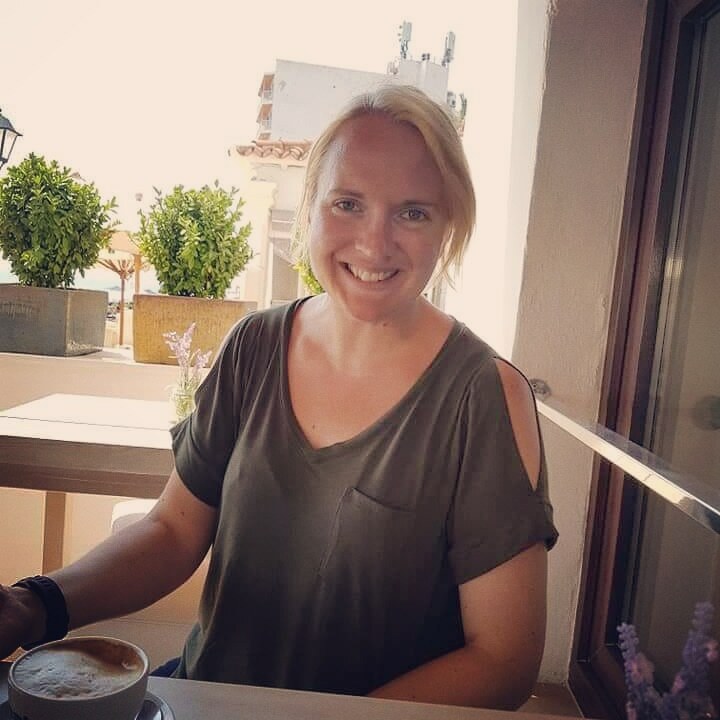 This Girl Can website has more info on all of these activities and more besides to encourage greater female participation in sport.